September 2017 - ORANGEWALLstudios collaborated with R&H Construction and WDY Structural+Civil Engineers in a design-build can food drive benefiting the Oregon Food Bank. The competition was composed of eight A/E/C teams who raised and donated over 22,000 pounds of food and $6700 collectively for a total for 37,970 meals. The proud OWs-R&H-WDY team constructed an 8-foot tall pineapple, traditionally a symbol for welcome, friendship and hospitality and, globally, one of the most accessible food sources. ORANGEWALLstudios was proud to take part in this event that benefited those in need and help take a slice out of hunger. August 2016 - Portland Business Journal recognizes ORANGEWALLstudios' newest Senior Project Architect, Joseph Readdy. "The PBJ100: Here are Oregon's fastest-growing companies"
June 2016 - ORANGEWALLstudios was recognized as one of the 100 fastest-growing companies in Oregon by the Portland Business Journal. Image: ORANGEWALLstudios rendering from the master plan. "Beaverton High sports facilities aim for A+"
May 2016 - ORANGEWALLstudios and WHPacific partnered with the Beaverton High School Success Fund to create a master plan for the school's athletic facilities and outdoor community spaces, which promises to transform the BHS campus. Read more about the project at the Beaverton Valley Times. December 2015 - The Erickson Fritz Apartments were recognized as a recipient of a 2015 DeMuro Award, which honors projects exemplifying excellence in preservation, adaptive reuse, and community revitalization throughout Oregon. The award is named in honor of Art DeMuro, whose redevelop-ment of properties like the White Stag Block set a standard for quality and creativity in historic rehabilitation projects. Learn more about the award on the Restore Oregon website. September 2015 - A collaborative learning space has been created in the newly revamped Beaverton High School Library. The old library was gutted and transformed into a new open concept for the 2015/2016 school year. Watch the KOIN 6 video or read about the upgrades in the Portland Tribune. 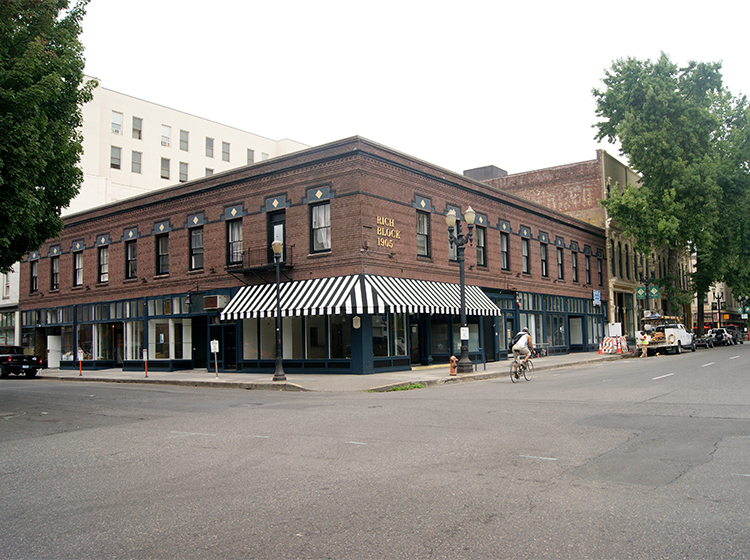 July 2015 - ORANGEWALLstudios, LRS Architects, and developer Innovative Housing Inc. have completed the revamp and transformation of two historic buildings into affordable housing in Portland's Old Town Chinatown District. June 2015 - ORANGEWALLstudios participated in the Lloyd EcoDistrict's eBike challenge, sponsored by GenZe eBikes. 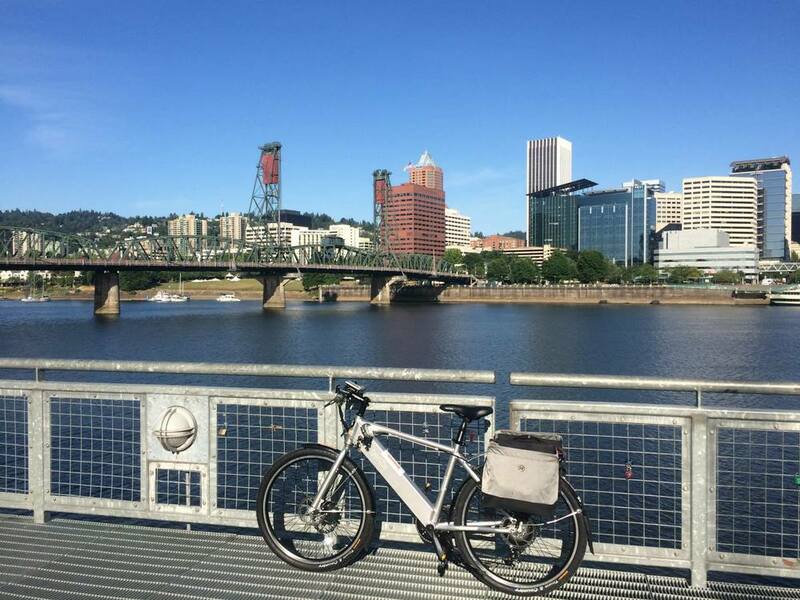 Check out our Facebook for more photos and videos of our week long eBike adventures through Portland. June 2015 - ORANGEWALLstudios was recognized as one of the 100 fastest-growing companies in Oregon by the Portland Business Journal, ranking 48 out of 100 with 121% growth increase. February 2015 - ORANGEWALLstudios, LRS Architects and developer Innovative Housing Inc. teamed up to revamp two historic buildings in Portland's Old Town Chinatown District, transforming them into affordable housing. January 2015 - The Times featured a home designed by ORANGEWALLstudios's Gary Hartill in Hillsboro, Oregon, as part of its regular "What You Get" feature, which features three properties across the U.S listed at the same price point. November 2014 - The Portland Business Journal interviewed ORANGEWALLstudios's Gary Hartill, as part of their behind-the-scenes look at the architects and designers behind some of the coolest office spaces in the Portland-area.